This elegant three-stone ring features a round-cut morganite gemstone at the center with a twinkling round diamond at each side. 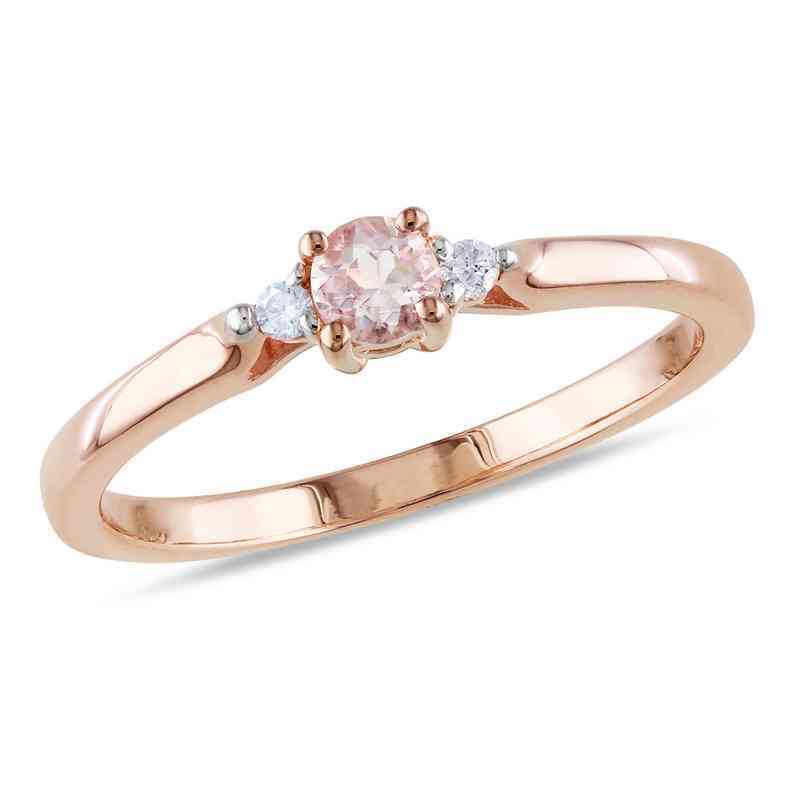 The setting is made of rose gold plated sterling silver, enhanced with a highly polished finish. Manufacturer direct from a trusted supplier.